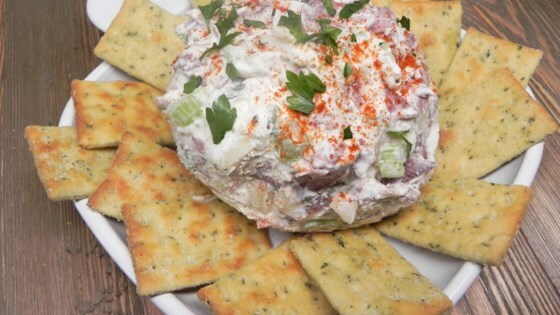 Mix cream cheese, chipped beef, celery, onion, and celery salt together in a bowl; form into a ball. Sprinkle paprika over cheese ball. Chipped beef can be found in the cold-cut area of the grocery store. Made as written and this turned out good. I really liked the crunch the celery gave it. Next time I will add some chopped black olives.